One of my ‘Work-Life’ balance rules is mandatory family outings midweek. Some weeks we dine, sometimes movie, other times just recreate out. This excites my daughter, Arushi, even on boring Mondays; and over the years, instilled into her a habit of finishing homework as much as possible, during school free time. Singapore Golden Village movie theatres have 6.50$ SGD = 5$ USD movie tickets for members on Tuesdays. That’s 50% savings from weekend rates. 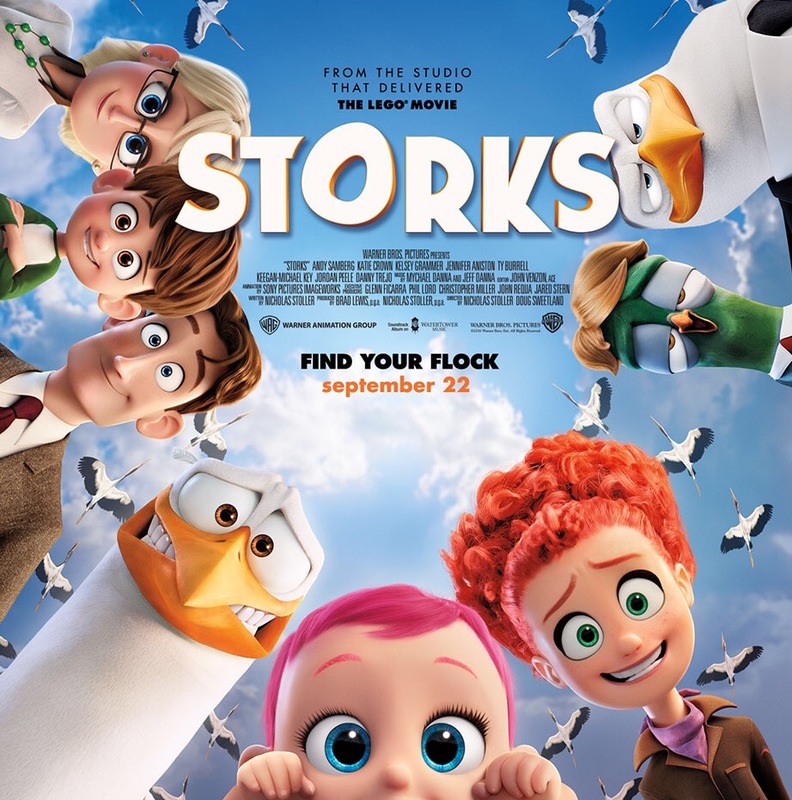 This Tuesday we watched Storks. 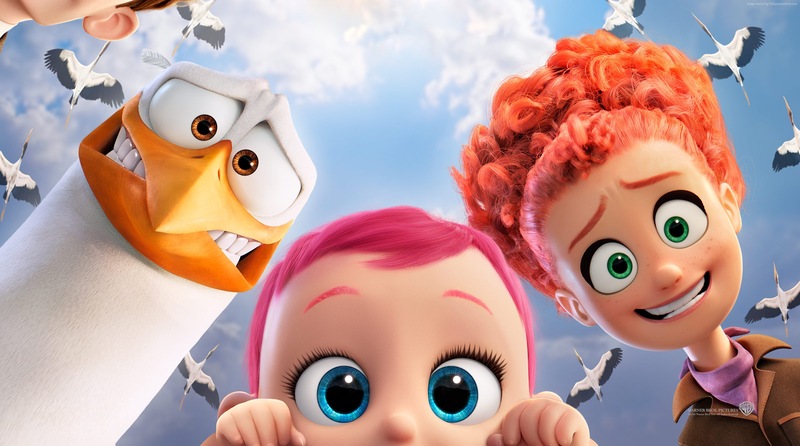 The root of ‘Storks‘ script is about a delivering a baby to a couple who lack ‘Work-Life’ balance and whose only child, bored with parents too busy with work, writes to the storks to deliver a baby. In one phone call, hooked to the laptop at home, the parent tells her office colleagues that she is available for work and calls on Sundays, holidays and even on Christmas. Naturally you understand why their child demanded a sibling. It’s said in ancient ages storks delivered babies. While that’s cute to see on cartoon film, the child viewer will have some questions towards his/her parents on ‘how babies are actually produced’. Back to the movie, and the baby is being delivered by upcoming stork corporate honcho ‘Junior’ (who will do anything to become the next boss) and their orphan human employee ‘Tulip’. Years ago Tulip, as a baby, wasn’t delivered to intended parents and hence stayed with storks. 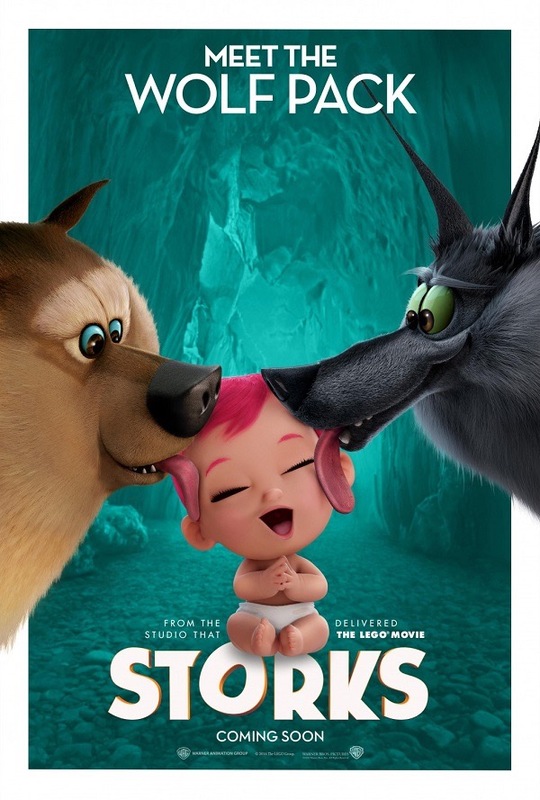 Storks is a cute movie and for the first hour keeps you strongly glued – particularly excellent is how the baby delivery process starts and then how Junior and Tulip escape from the wolves pack, repeatedly. The other bright aspect, buoyed by their son, is how the workaholic parents, start living life by renovating their house in anticipation of a coming baby (and ensuring a smooth delivery by the storks). Junior and Tulip meanwhile overcome a few more wolf pitfalls enroute to the baby delivery – the wolves forming wolf bridge, wolf submarine, wolf van, wolf plane is fantastic creativity. The baby is cute, spits food, throws tantrums, pouts and gives those eyes wide gaping looks. So far so good, but just when you think the baby will reach the awaiting family, do directors, Nicholas Stoller and Doug Sweetland, go for an ‘excess complication’ yet-another-twist spin. Storks weakest point are the last twenty minutes when the audience impatiently waits for the baby to be delivered and hopes for no further twists. At 93 minutes it does look 15 minutes too long, although eased by the climax – which sees every parent letter request, lying for ages, transform into thousands of babies produced. Which means the storks will restart delivering babies in 2016, and Storks 2 will be coming out soon from Warner Bros.
Storks does have a human character Tulip who wasn’t delivered to human parents and hence gets stuck with the Storks. Tulip is later informed about her ‘real parents’ and has a chance to unite back. She is excited initially but realises that Storks have brought her up all along and love her infinitely. Hence she returns back to her ‘real human family’ and yet continues to be in touch with the storks. Adoptive parents do use discretion before showing to your kids.